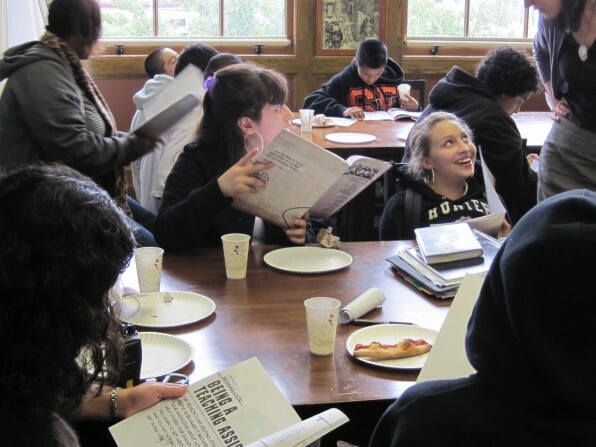 On May 17, eighth graders from James Lick Middle School celebrated the release of the second issue of their magazine Slick. For the biannual magazine, students came up with their own ideas, interviewed experts on their topics, and spent a whole semester writing and rewriting articles about the school community and other topics relevant to middle school students. The contributors are all students in Ms. Jones’s eighth grade peer resources class, a course that aims to educate the community about healthy lifestyles and responsible choices. To accomplish this goal, writers tackled important issues like immigration in Arizona, school uniforms, life with ADHD, and, of course, the San Francisco Giants. “Picking up this issue of Slick is like going into the mind of an eighth grader at James Lick Middle School,” reads the introduction to the Spring 2011 issue. Students conducted extensive research, interviewing experts with diverse backgrounds, from San Francisco Giants pitching coach Dave Righetti to SFPD crime scene investigator Marina Chacón to James Lick counselor Ms. Dalmau. The result is a publication that truly captures what it means to be an eight grader. Be sure to pick up your copy of Slick in the Pirate Store.